Why Do Democrats Think The Only Way To Win Is To Lie? Why Do Democrats Think The Only Way To Win Is To Lie? Why Do Democrats Think The Only Way To Win Is To Lie? I have a chapter in my book, “Ramblings of a Right Wing Bible Thumping White Guy’ called. “Why do they have to lie to win?” I always feel that if the issue or product you have is true and good then it will stand on its own, don’t lie about it. Democrats are talking about how bad this new healthcare plan is and that 22+ million people will lose insurance. And, of course, the end of humankind as we know it will be along shortly thereafter! Democrats now blame Republicans for the coming failure of Obamacare. It seems that all the misinformation and fear mongering by Republicans has caused many insurance companies to lose millions of dollars and ultimately pull out of the program. Hold up a minute. Maybe it’s all the failed promises and misinformation by Obama and his gang about Obamacare. Remember, the Democrats banked on the fact that young people would sign up for this in large numbers, not because it was good for them but because they would be penalized for not signing up. Dems thought that was a good thing! Then there was the 20 million who would sign up in the first 2 years. It too was a “you can keep your doctor” promise that fell flat. You see, the 19 million they claimed ran to Obamacare because it was so great never really happened, unless you use Democrats’ new math. Over 6 million policies that were being offered by small businesses had to be cancelled because they didn’t meet Obamacare requirements, like not offering birth control for men and other CRAZY unnecessary benefits! Those people had to go to the exchanges to sign up. The Obama administration took credit for these “new” signups under Obamacare. But they would not take responsibility for the higher monthly premiums, deductibles, and co pays that came with the new “affordable” care act. Some people even found that their prescription copays tripled! Remember, the secret word is “affordable”! I say secret because no one yet has found the affordable version. Another 11 million people have been “forced” to go through an exchange to get on “Medicare,” a program that was supposed to be for Americans over 65 who couldn’t afford basic doctor visits, medications, and healthcare. The first National healthcare program was floated by Teddy Roosevelt, a Republican. Lyndon Johnson decided we needed to cover more people with Medicare so he made provisions to allow people under 65 with certain conditions. By 2015, over 55 million Americans are on some form of Medicare. This number accounts for over 14% of our national budget. President Nixon added provisions for people with disabilities in the 1970’s. All through the 1980’s new provisions were added for hospice services, catastrophic care, medical gap insurance, and provisions to allow states to “buy in” their citizens who might be just shy of qualifying. All this was done under Republican Presidents Reagan and Bush. Those uncaring SOB’s! The Affordable Care Act was a failure from day one. Some would say it’s good because now they have insurance and that makes it ok under any circumstances. Really? So if you personally have insurance now, but 20 thousand others don’t because their premiums are too high and they can only pay the penalty, are you REALLY ok with that? You’re don’t mind getting subsidies from the government to cover your health insurance, while those who make just over the allotted income can’t get subsidized insurance. Now they pay the penalty and get no insurance. But you’re OK with that. How “equal” of you! So much for equality. So much for helping out your fellow man. Young Americans were a critically needed piece in order for Obamacare to succeed, and that’s a BIG problem. Young Americans can stay on mommy and daddy’s healthcare plan until age 26. That usually only adds only a few hundred dollars to their parent’s premiums. Yet if they go out on their own, their premiums can be from $488 to $1100 dollars depending in the subsidy (aka: the amount of other people’s tax dollars you get to pay for your medical premiums!) So, even though they were needed for the ACA to work, they were kind of written a pass. ObamaCare was a scam from day one! In case you think I’m making all of this up, the guy who framed it and sold it to the American people, Jonathan Gruber actually said on video and in writing that, and I quote, “The Stupidity of the American voter and the ability of the Obama administration to take advantage of them allowed the bill to pass.” He said they purposely mislabeled it and didn’t call it a tax so it would go through easier, even though they always knew what it was. He was denounced by major Obama loyalists like Pelosi, and others but again in a “If you like your doctor you can keep your doctor” moment we found out they were lying. They knew who he was what he was doing and they actively helped him sell it. Again I say, why lie to win? 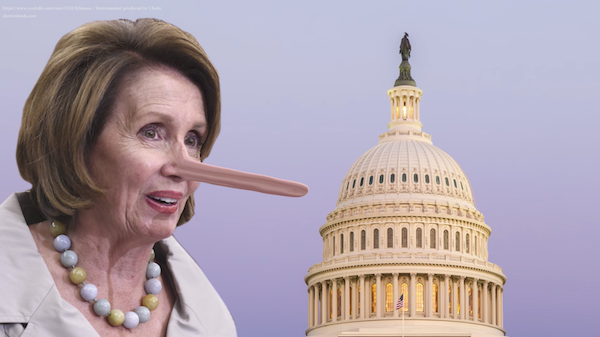 Even more proof that Democrat legislators have been acting like Obama/Pelosi drones, some of them knew there were issues, major issues, with the bill but voted for it anyway. Senator Max Baucus, one of the Chief drafters of the bill, said he didn’t read all 2700 pages because it would have been a waste of time. Why? Because, according to him, only the experts could understand it. Then HOW did he write it? Now, let’s get back to today. There are 3 options. Single payer: NOPE. That would bankrupt this country and be a nightmare. Just look at the VA if you want to know what a single payer system would look like. Our government already has a track record, and it isn’t good. Let ObamaCare fail! : It’s going to. ALL the experts say it will, and soon. That would definitely leave many uninsured and although Democrats should get full blame, they won’t. Why? Because they do a great job at spewing misinformation on how the “fearmongering” of Republicans is causing the ACA to fail. Maybe Gruber and Obama and Pelosi are right. Maybe Americans are stupid enough to buy this. I think not. Repeal and replace: If they give the states more power over insurance and Medicare and buying over state lines, it will get better. Democrats are telling you many will lose their insurance. Well, technically, yes. But not really. You see, you will actually get a choice when buying insurance. You won’t be forced to. You can actually buy the product you want. You can chose the deductible and services you want. And Medicare will be out back in the hands of the state rather than the federal government in DC that is so out of touch with so many Americans. Don’t be fooled. Don’t fall for the Democrats’ lines being spewed that 22 million Americans will lose their insurance. According to the CBO report the vast majority of those are young people will drop coverage on their own because they didn’t want coverage in the first place. And as far as throwing granny off the cliff, without Obamacare, granny would be getting Medicare anyway….Please don’t be what the Obama administration called you… Stupid Americans.